For Such As These: what can I do from here? Well—here is your opportunity to make a BIG difference in someone’s life. Someone who has unjustly imprisoned since December 2010. You have the opportunity to encourage them and to give them hope. Go to to the link below and you can send an encourage through the website or you can print one off to mail in to IJM if you’d prefer handwritten! During September (you’ve only got a couple days left!) you can become a Freedom Partner and your first year of giving will be matched dollar for dollar by an anonymous donor!! $24 a month so IJM can show up 24 hours a day to bring rescue to those that are beaten, abused, raped, and enslaved. 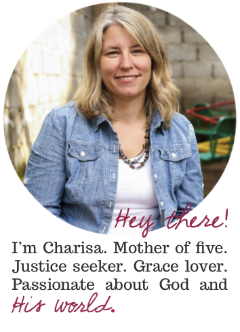 IJM is wonderful about keeping you updated on rescues and how you can pray! I love being a Freedom Partner with IJM and encourage you to jump in with me!